Mick Wilson is a musician and composer who lives in West Yorkshire. 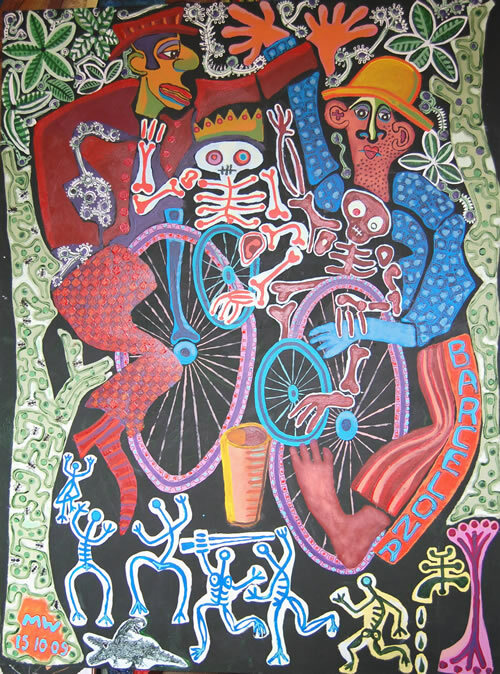 An extremely creative personality, he has also painted for a number of years. Over the last forty years he occasionally exhibited in solo and mixed exhibitions in the North West of England. A university tutor, he has also done freelance work for theatre, film, television and dance. Inspired by the work of Spanish artist Cesar Manrique, Mick Wilson’s urge to paint and create three dimensional pieces has become much stronger over the years, resulting in an intriguing collection of multimedia work. 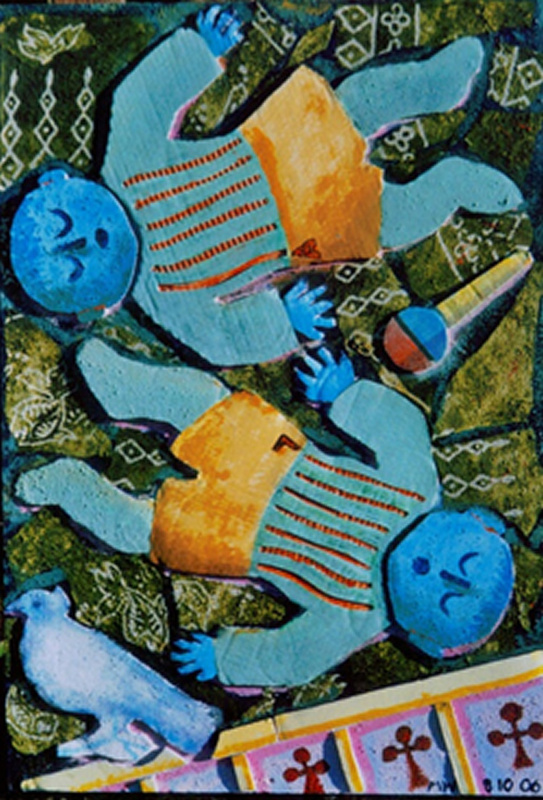 His images are powerful, the colour is vibrant and his themes are often inspired by music. He has had solo shows in Hebden Bridge and also at The Portico Gallery in Manchester. 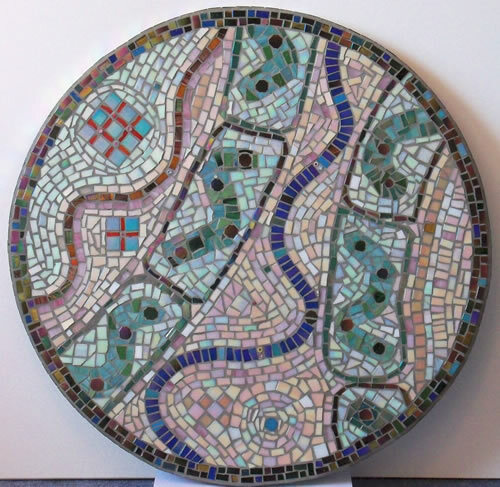 This collection of wonderful mosaics is decorative, exciting and also versatile! 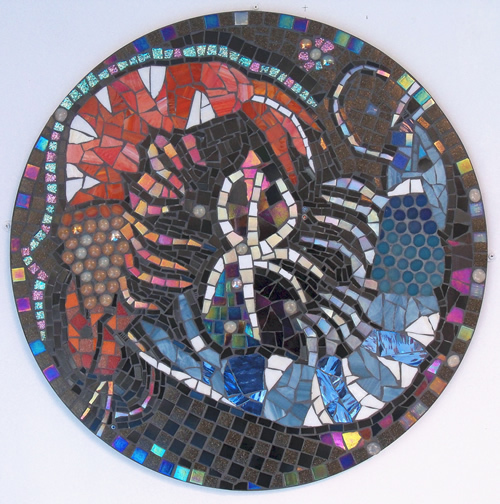 Many of the mosaic pieces are lustrous and catch the viewers eye as he or she moves around the room. The pieces have been applied to marine ply and, as well as being hung on interior walls, can be used as garden art or even table tops. If used for patio tables we recommend that a rim should be applied to protect the vulnerable edges. 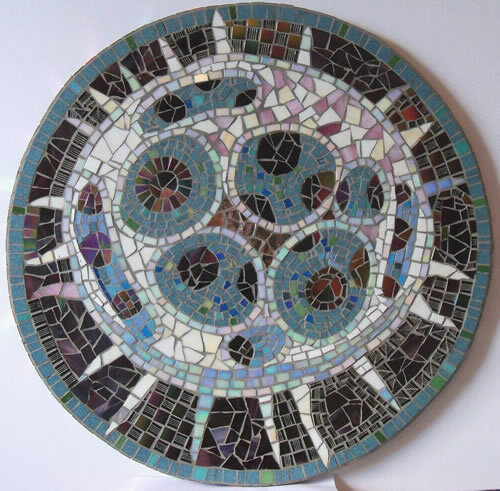 The three examples here have a radius of 72 cms and are £1,250 each but larger examples are also available.